Robotiq products help you to see the value of automation in easy to start steps. Creating Revolutions looked for 40 different robots when came across UR and Robotiq. Implementation of UR3 and Robotiq gripper reduced product returns from double-digit numbers to less than 1%. 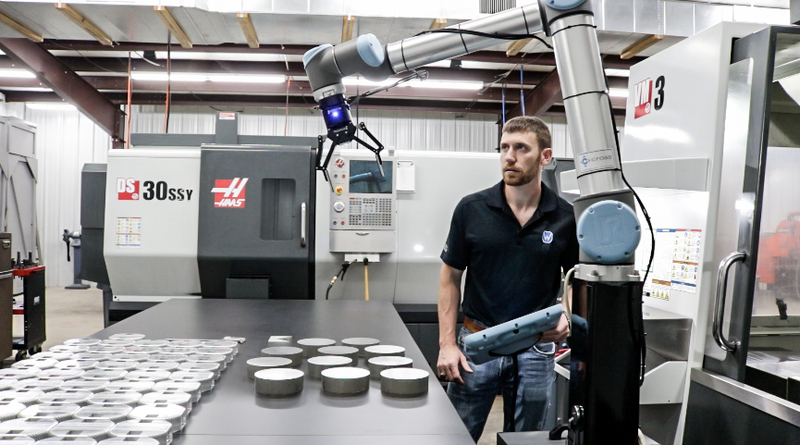 Robotiq’s 2-Finger Gripper complements the FT 300 Force Torque Sensor and Wrist Camera and opens doors to more complex machine tending and assembly tasks. This lets you use a single gripper in several types of applications, which raises the ROI. Always perform a risk assessment when implementing a robotic cell. There are ways to make gripper safer, such as by using our protective covers to hide pinch points, in order to comply with ISO/TS-15066 standards. Contact us today, to get help with identifying potential automation and digitalisation tasks in your current manual-intense production process. Digitalisation opportunities audits and rapid new solution's simulations provided by our engineers and consultants received highly positive feedback from our clients.